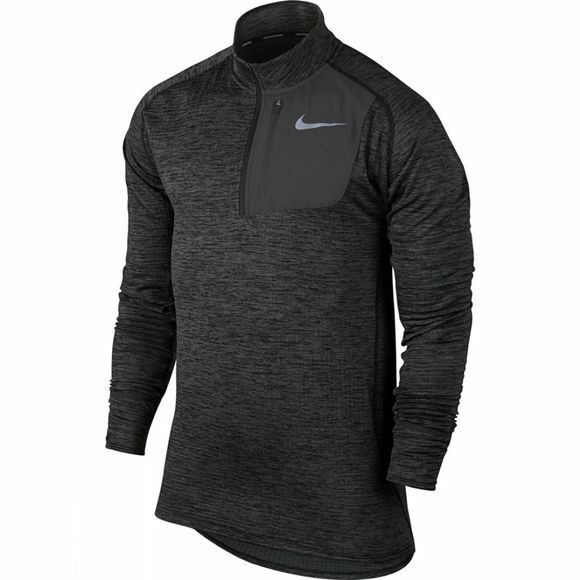 From warm up to cool down, Men's Nike Therma Sphere Running Top manages your body's natural heat with Nike Therma Sphere fabric. Foldover hand mittens and a 1/2-zip design provides customizable warmth so you can run in comfort despite dropping temperatures. 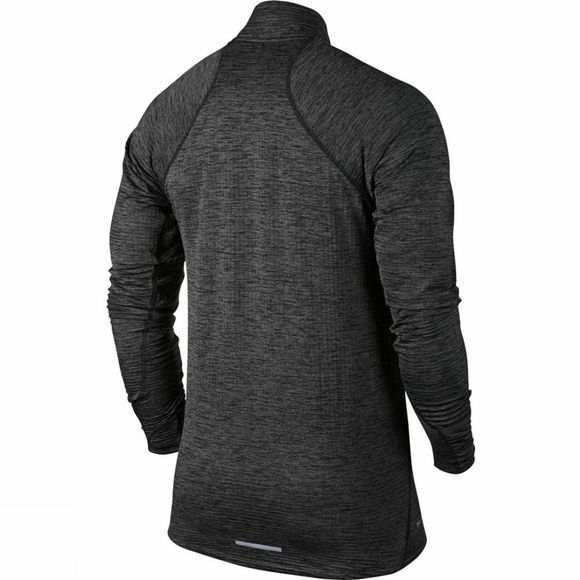 Nike Therma Sphere fabric manages your body’s natural heat. Mittens at the sleeve cuffs provide additional warmth. Zippered pocket on the left chest is designed to secure a phone. An inner mesh pocket provides additional small-item storage. Articulated seams map the natural contours of your body to allow natural range of movement.